I am so glad to have finally got round to reading Trivium 21c. I was expecting a treat and I wasn’t disappointed. This is an important book which should be read by anyone interested in the purpose and practice of education. I hope it prompts a great debate across all phases of education and contributes to a renaissance of liberal education. It should also open up many areas for further debate. Martin Robinson starts from his own experience as a drama teacher and his desire as a father for the best possible education for his young daughter Lotte. He invites us to join him on a journey to explore his idea that a good education in the 21st century should be based on the 3 ancient arts of the Trivium: grammar, rhetoric and the dialectic. Grammar is about foundational knowledge and skills, how things are. Grammarians emphasise authority and rules and want to pass on core and canonical knowledge. The dialectic is about testing and challenging knowledge through questioning and argument, Dialecticians value debate and dialogue as a way of creating new knowledge. My default state is dialectical. I think that some of the most interesting debates in education are built on creative tensions; between the known and the unknown, the self and the social, thinking and doing, knowledge and skill for example. These tensions can be contained in oxymoronic phrases or dissoi logoi such as ‘progressive traditionalism’ or ‘practical idealism’ which require us to start thinking about the synthesis of apparently contradictory terms. But Trivium 21c reminds us of the equal value of all three arts of the Trivium. So, for instance, we can’t proceed dialectically if we haven’t got some solid foundations of knowledge to think with (grammar) and such knowledge has no real meaning and is of no real use in changing our world if we can’t express it well and share it with others (rhetoric). The book weaves in and out of the historical and the philosophical and we are introduced to a wide range of key thinkers as the author circles around his central question, expanding and deepening our understanding bit by bit: what might a Trivium-based education for the 21st century actually look like? Every chapter is packed with stimulating ideas and provocations; too many to do justice to in a review. I really enjoyed Robinson’s account of his own development as a drama teacher, building students’ work from fragments of movement and text, looking for connections, arguments, threads and interrogating them. He consolidated this for his students into the idea of a mantra and a sequence: movement, emotion, intellect, performance. Instead of thinking of creativity as free-flowing and unconstrained, Robinson emphasises the discipline required to be creative and quotes Ken Campbell, with whom he worked: “Creativity is about constraints”. This chimes with the idea that the greatest modernists or revolutionaries such as Joyce, Picasso or Schoenberg start with considerable mastery of traditional knowledge and technique before they can effectively challenge and subvert it. Robinson returns to pedagogy towards the end of the book with useful checklists of activities and teaching methods mapped to the Trivium. Robinson draws on an eclectic mix of thinkers, both dead and alive, and includes transcripts of conversations he has had with some contemporary educationalists and commentators in which he seeks to elicit their response to the challenge of the Trivium. I was fascinated to discover that the crime writer Dorothy L. Sayers had spoken passionately about the Trivium as part of independent lifelong learning in 1947 and also to learn more about the work of Marshall MacLuhan and Daniel Willingham. It was also good to rediscover some familiar figures such as Michel de Montaigne, Antonio Gramsci and Richard Sennett but I was surprised there was no reference to the work of John Dewey, Michael Oakeshott, Maxine Greene or Martha Nussbaum, clearly one can’t include everyone. Robinson uses the terms meme and cultural capital quite a bit. The concept of a meme was coined by Richard Dawkins to describe a unit of culture and the notion of cultural capital was developed by Pierre Bourdieu to describe a set of valued knowledge and skills which provides access to power and status. These ideas have some explanatory use but they suggest that culture is made up of static particles detached from any of the structures of power or dominance in human societies. I think any metaphor for culture should reflect the fact that it is constantly being re-made by social beings living in highly unequal societies subject to powerful historical and political forces and therefore is contingent and constantly changing. I agree with Robinson that all young people should have access to the ‘cultural capital’ of the elite but do we believe that this is enough to really challenge their economic dominance? [and does Sam Freedman really believe that lower exam performance means that white children, Afro-Caribbean boys and Pakistanis “don’t have cultural capital in their societies whereas your middle class Ghanaian, Indian and Chinese do have that cultural capital”? p.192]. 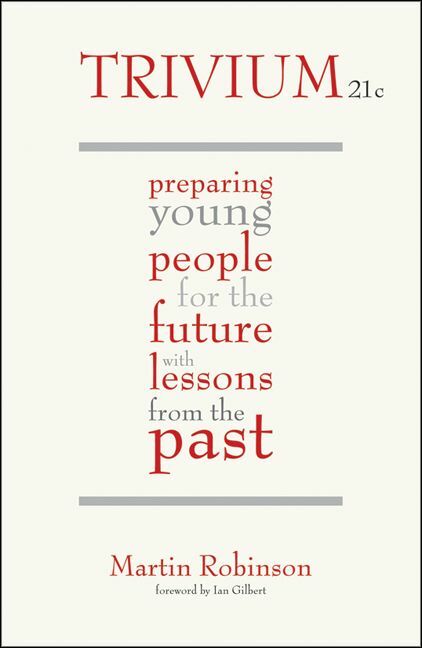 A great strength of the book is that is opens up the possibility of a genuinely universal approach to how we should teach and what we should teach all young people and doesn’t seek to label and classify learners or provide a rationale for a different education for different ‘kinds’ of students. Rather than trying to describe a liberal education for some, it is genuinely searching for a liberal education for all. Many contributors to our current lively education debate in England feel a need to identify themselves as part of a ‘camp’; traditionalist or progressive, advocates of the primacy of either knowledge or skill. This often leads to the lobbing of missiles rather than the promotion of debate. Martin Robinson’s contribution cuts through all of this and builds on what each tradition can contribute to a full education in being human. The traditionalists love grammar because it’s about passing on important knowledge and the progressives love the dialectic because it’s about challenging tradition and thinking for yourself. Taken together with rhetoric; the art of expressing your ideas and communicating with other humans these are the essential elements of an education in being a full member of human society. But each on its own is inadequate to the task. In summary, Martin Robinson is proposing a ‘progressive traditionalist’ curriculum which aims to develop ‘philosopher kids’ and nurture respect for the best that humans have thought, said and done, to develop character, virtue and moral purpose and which values both the traditional and the progressive and the need to cultivate curiosity, dialogue and mastery. How do we decide when students know enough ‘grammar’ to usefully engage in the dialectic? Is there a whole phase of education which should be devoted to consolidating ‘grammar’ before embarking on the development of dialectical skills. Is the transition from one to the other part of human development or should we see them developing hand in hand? This is related to the question of learning to let go, which Robinson addressed in his own practice as a drama teacher. How much space should there be in the curriculum to ‘discover our genius’ and pursue personal passions and interests and is this something which needs an increasing proportion of our time as we move through our education? In a highly connected culture where ‘horizontal’ communication is now so rapid and easy, how do we both prepare young people to be effective in cyberspace while also reinventing the ‘vertical’ structures which give authority to our knowledge and skills? Truth is neither democratic nor is it a market commodity and the ‘wisdom of the crowd’ is not an adequate basis to build deeper personal wisdom. What is the role of schools in setting norms and challenging popular ignorance and prejudice? How could we develop a liberal arts curriculum for all 16-18 year olds in the context of our current post-16 offer which has no common core curriculum requirements other than the expectation that all students should aim to achieve level 2 Maths and English? We can all hope that Lotte together with everyone else in her cohort can access this kind of education. To help bring this about, Martin Robinson is working to establish a network of educators and whole schools which could develop the idea of the Trivium as an organising principle for a good education. Anyone who is interested in finding out more and possibly getting involved should consider following Martin’s blog and attending the Trivium conference at King’s College in October. Martin Robinson can also be followed on twitter and facebook. In my view the perfect companion volume to Trivium 21c is Learning to Flourish by Daniel DeNicola (Continuum, 2012) another philosophical exploration of liberal learning which I will review separately. This entry was posted in Education, Reviews and tagged citizenship education, Critical thinking, Dialectic, Education, Grammar, liberal education, Martin Robinson, Rhetoric, Trivium. Bookmark the permalink.